If you are into NON-SPORT collecting and gaming, then Johnny B’s is the place for you! We carry a large selection of all types of non-sport trading cards and collectibles. You will always find the most current, and recent, issues of your favorite gaming card issues including Magic The Gathering, Yu-Gi-Oh!, Pokemon and more. 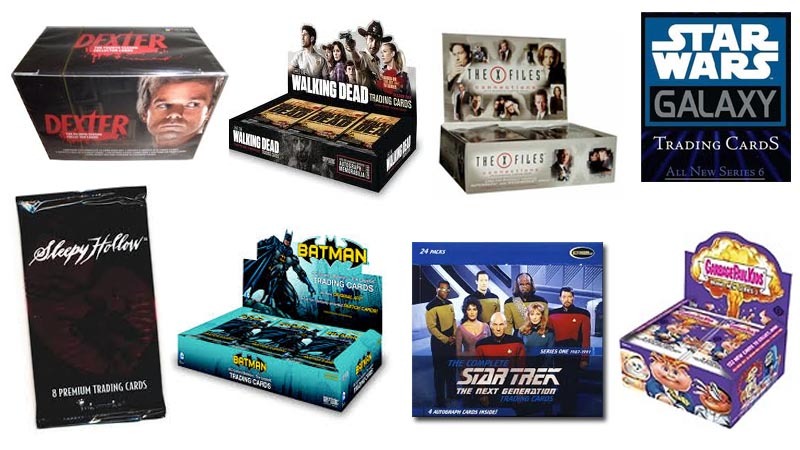 If entertainment collecting is your thing, then you will enjoy spending some time at Johnny B’s–where you can access interesting and hard-to-find editions of Entertainment trading and collector cards from Cryptozoic, Breygent and other top producers of these highly collectible issues. We offer boxes, packs, single and chase cards to help you complete your sets (and master sets!) of the most popular series including Dexter, The Walking Dead, Alias, Fringe, Eureka, Batman and many others. Stop by and browse our extensive selection of action figures including Star Wars, Spawn, Star Trek, Walking Dead, anime and much more!